Maina is suspected to be among three Kenyans who executed the theft - They worked for a Dubai security firm charged with transporting money - The money was destined to an ATM but one suspect made away with it - One suspect was arrested in March and police recovered KSh 13 million - He is likely to be extradited to Dubai once police complete investigations - A Nairobi court on Wednesday directed that he be detained for two months A man believed to be among three Kenyans who stole KSh 140 million in Dubai has been arrested. 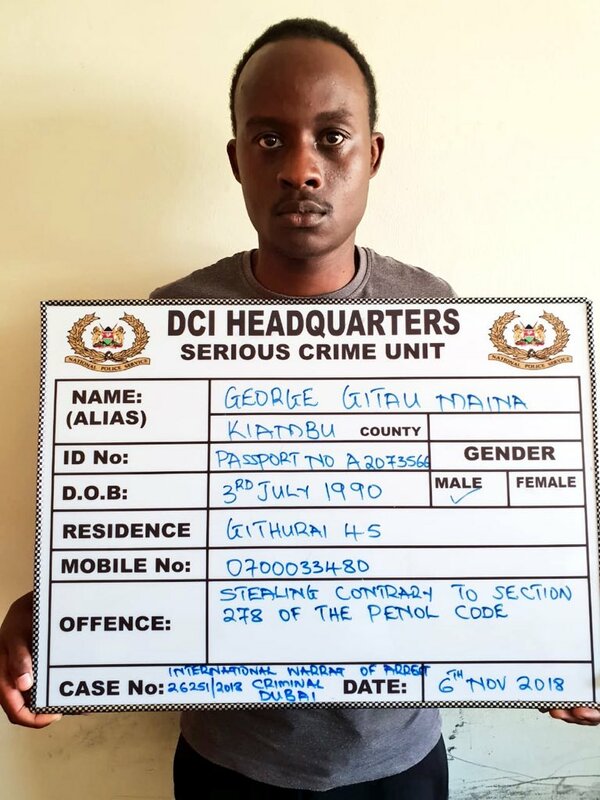 George Gitau Maina was arrested by detectives on Tuesday, November 6, following an earlier warrant of arrest issued by International Criminal Police Organisation (INTERPOL). In a statement, the Directorate of Criminal Investigations (DCI), said Maina was the second suspect detectives had netted. 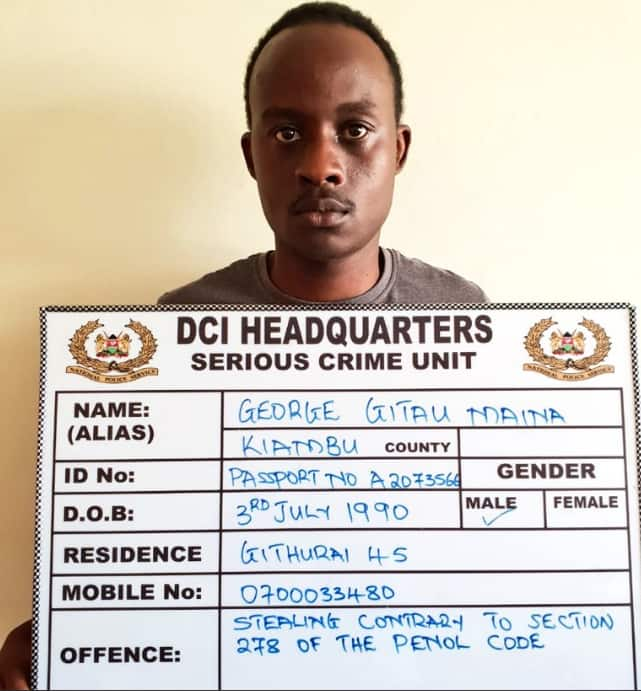 "The second suspect in the Dubai cash in transit theft; where millions of shillings were stolen by 3 Kenyans, was arrested yesterday afternoon and and will be arraigned in court today. The first suspect; Rebecca Musau had already been arrested and charged," DCI stated. The first suspect in the case, Rebecca Musau Mueni was arrested in July while trying to make her way to Tanzania. According to DCI George Kinoti, the suspects were part of six private security firm guards who were transporting the money to a Dubai based ATM on the day the incident happened. The theft happened in Dubai on Saturday, March 3, and Charles Karanja (still at large) was identified as the prime suspect. When Mueni was arrested in July, police recovered to a tune of KSh 13 million from her Nairobi home.